There is loads going on in this Halloween Event but be quick as it is only available for 9 days! 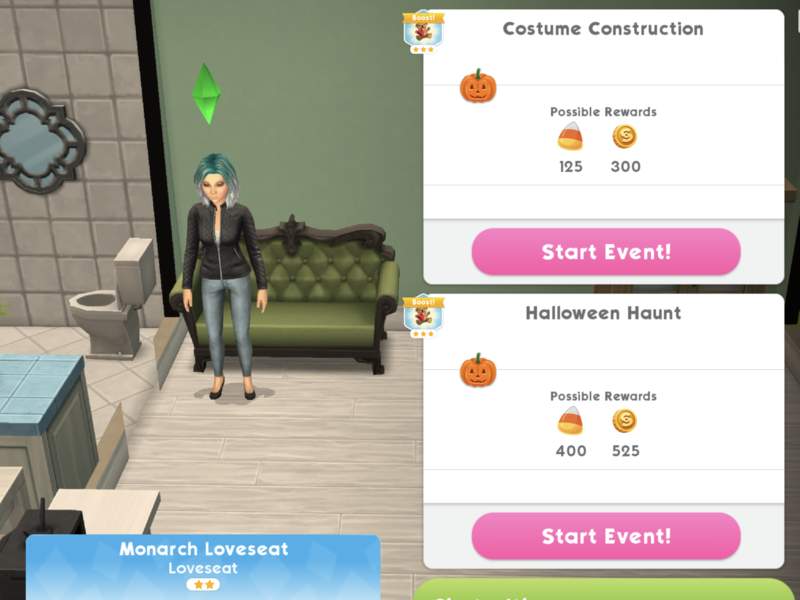 We have a quest to complete as well as loads of candy corn to collect to unlock Halloween decor and costumes and then we can use the candy corn to buy new Halloween items such as Fairy Makeup, Pumpkin Rugs and Spooky Sofas. But that isn’t all, there is also the creepy coffin where you can spend more candy corns to unlock gravestones and jack o’ lanterns so we are going to need a lot of candy corns! Once you unlock the Candy Bowl and place it in your house it will refill over 12 hours earning you 125 candy corn, make sure you click on it ever 12 hours to collect! Where can you find what I bought with the candy corn? Any other ways to get candy corn? SInce the special events take so long? 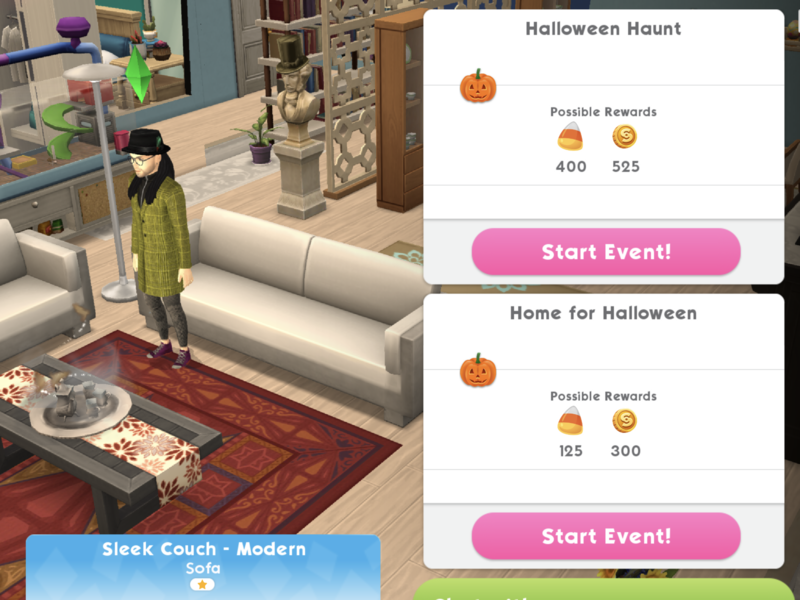 When completing the “home for Halloween“ activity, one of the action choices for your sim is cook spooky snacks. A snack is then placed on the counter or the floor (when the counter space is our full). I want to know how to remove the snacks. It seems that my kitchen is getting full of them and I can’t tell if they go away after a few hours. Any advice would be great! Its worth mentioning, that compleeting lama zoom tasks gives 250 corns, it might speed up few halloween tasks a lot. 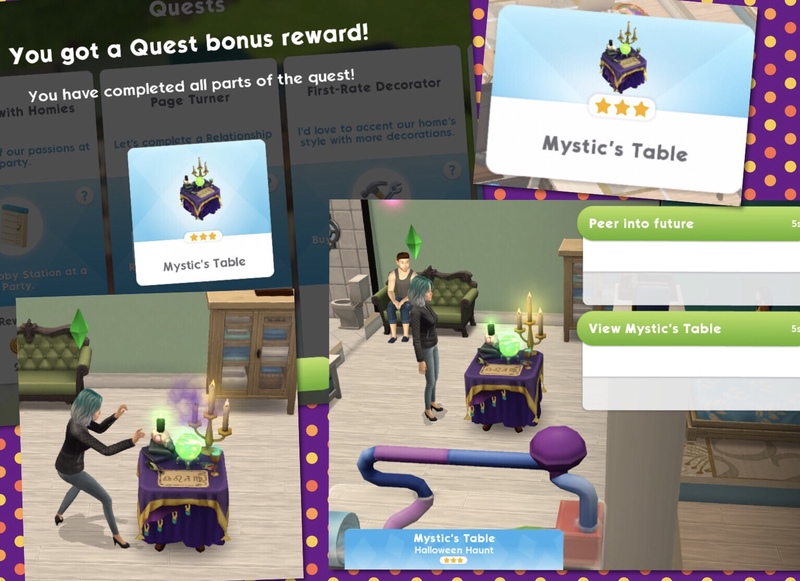 On the sims free play, will the Christmas quest snow problem be back? And when if yes. Also, will there be a new Christmas quest? Hello my house is full of plates from the “bake halloweeen treats” action in the fridge. How do i remove them thanks! Hi can I spend my candy corn and also still have the same amount saved for the milestone prizes?